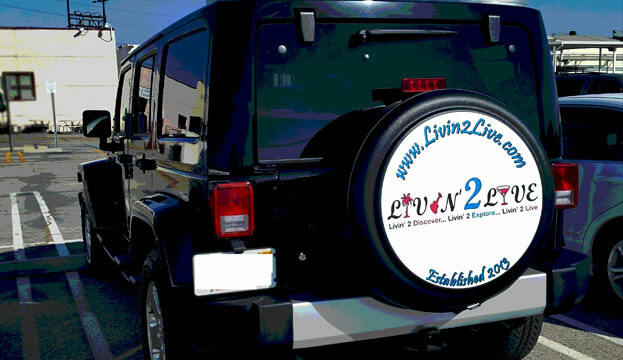 'HONK' if you Love Livin' 2 Live! 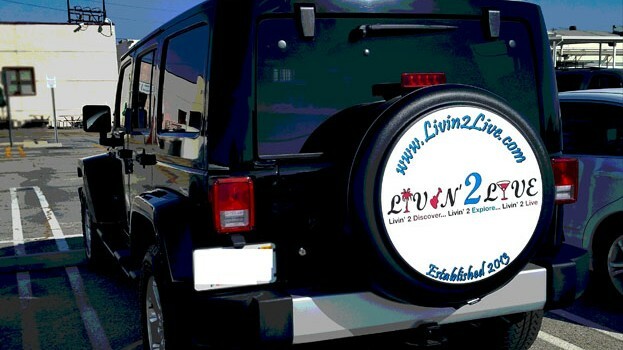 As a surprise gift for my 27th Birthday, my friends came together to give Mystique the Jeep the ultimate makeover… She got her very own Livin’ 2 Live tire cover so wherever we are, folks can see that wherever we travel, we’re always… Livin’ 2 Live! This means that I’ve got to start sharing more with you guys. We’ve got tons to catch up on!